Hi, everybody! How have you all been? I feel like things are finally starting to slow down for a little bit. Life seems, dare I say it, calm at the moment! Which is awesome because that means I get more crafty time than usual. That’s actually exactly the case for today’s post. 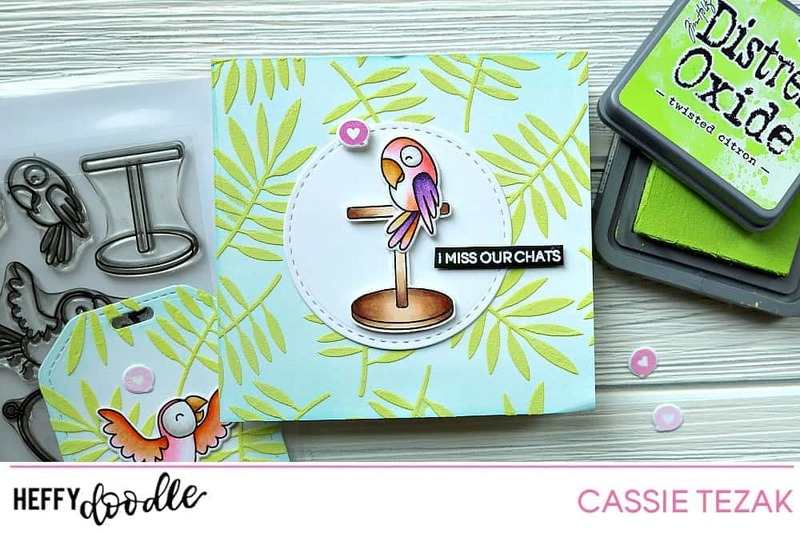 I got to do a little more extensive of a project and work with more of my fave products from the newest Heffy Doodle release. 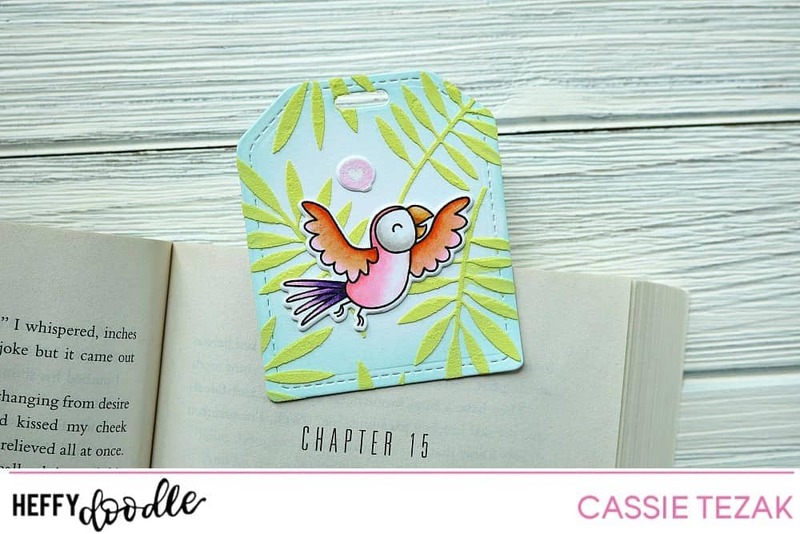 Today I have a card and bookmark set to share with you. Let’s jump right in! I started today’s projects by ink blending some light blue dye ink onto a card base and two die cut tags. I focused the color on the edges, letting it get lighter in the center and create an ombre. It’s hard to see in the photos, especially with the elements over it, but it looks awesome in real life! Then I took the UnbeLEAFable Heffy Doodle Stencil and secured it over the blended paper. I had to do them separately, as they were just a tad too big to fit under the stencil together. 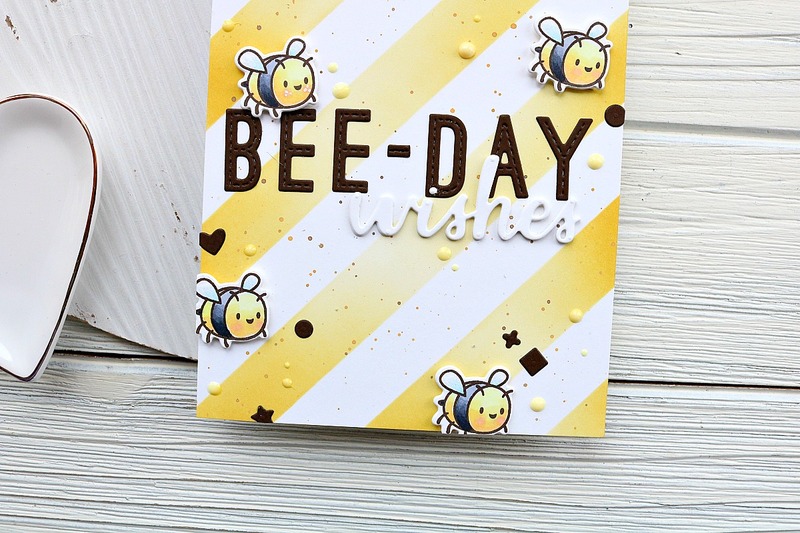 I used some white embossing paste, mixed with my Twisted Citron Distress Oxide ink and spread the paste over the stencil. I learned quickly to go the same direction as the stems for the best results. It’s a very delicate stencil, and knowing which direction to move helps a lot! I let those dry over night and started working on the other aspects of the card and bookmark. 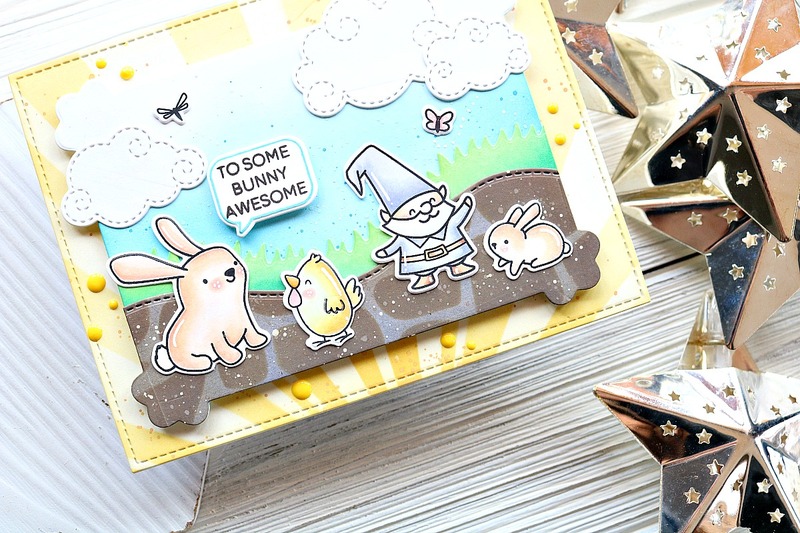 I stamped, colored and die cut some of the images from the Wingman stamp set. I used two of the birds, the stand and the little heart bubbles. For the card I die cut a stitched circle and adhered the bird and his stand to it, popping the little heart bubble up with foam tape. 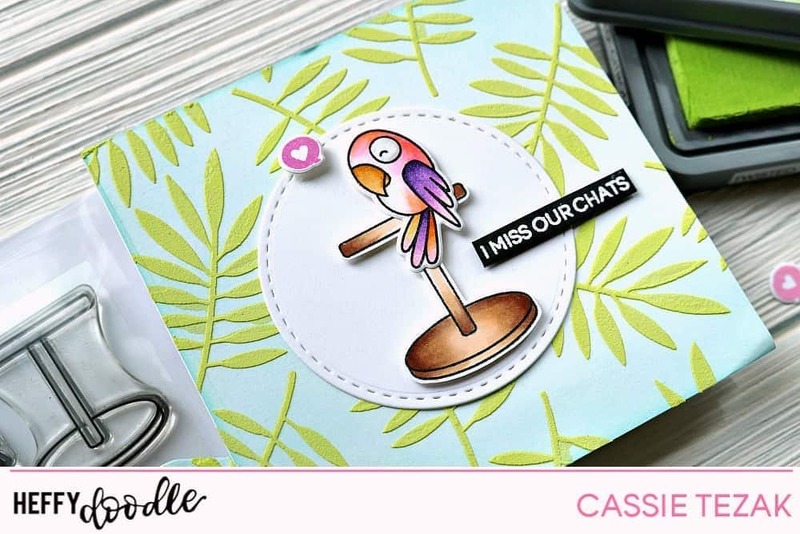 This is going to a friend that recently moved, so I heat embossed the sentiment ‘I miss our chats’ onto black card stock with white embossing powder and trimmed it down so it could be added with foam tape as well. And that’s it for my projects today! 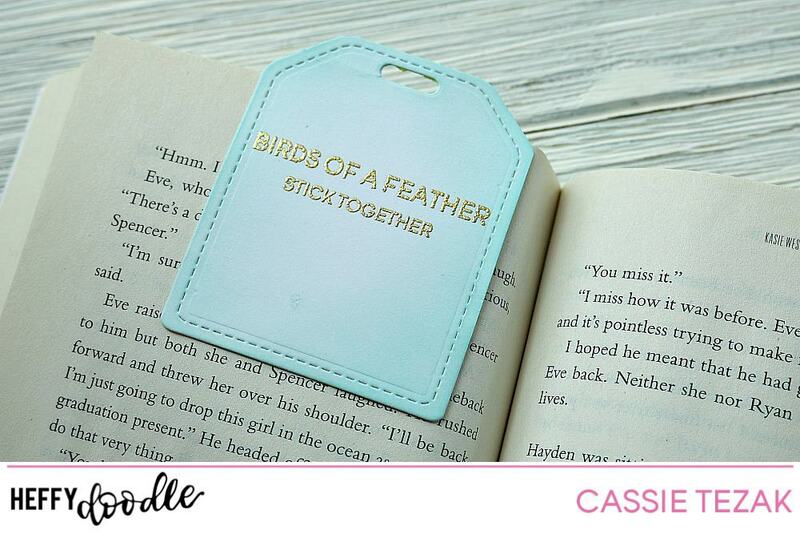 Bookmarks are one of my favorite things to make, other than cards, and I think I need to start making more of them! How about you? 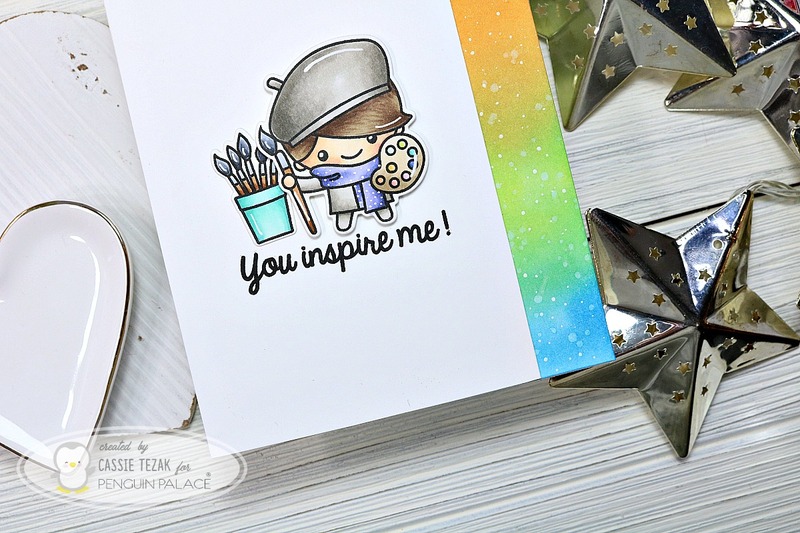 What’s your favorite non-card thing to create?? I hope you enjoyed the projects for today, and that you’ll try making your own bookmarks. Thanks so much for stopping by today, and I’ll see you again soon with another card!